Pearl Henry Payne, 100, died peacefully in her home Thursday, Nov. 1, 2018. She was a lifelong resident of Natchitoches Parish. Pearl Henry Payne was preceded in death by her mother, Addie Cecila Bridges; father, James Emmitt Henry Jr.; and beloved husband of 59 years, Lutrill Amos Payne Sr. They were united in marriage Dec. 29, 1939. From this union three beautiful children were born, two sons and one daughter. She was preceded in death by her sons, Lutrill Amos Payne Jr. and Ralph Lawrence Payne Sr.
She is survived by daughter, Carolyn Payne White and her husband, Herschel White Jr.; daughters-in-law, Mandy Payne and Tena J. Payne; grandchildren, Printiss J. Davis and her husband Donald Davis, Carolyn Payne, Ralph Payne Jr. and wife Tena H. Payne, Lutrill Payne III, Jacinta White Topps and her husband Andrew Topps IV, Kristena Payne Gaylor and her husband Tony Gaylor, and Bianca White Lynch and her husband Travis Lynch; great-grandchildren Karqeeta Tarver, LaDedrek Payne, Darrell Payne, John Sibley, Andrew Topps V, Nailah Payne, Carolyn Topps, Samuel Gaylor, Kristopher Gaylor, Kendall Lynch, Nola Pearl Lynch; and great-great grandchildren, Priyah Tarver–Reed and Markarlee Payne. Special children include Lisa Hicks Edwards, husband Austin and son Geroyd and Howard Ratliff as well as nieces and nephews. Pearl Henry Payne was born July 12, 1918, in Natchitoches Parish. She was baptized in 1928 at the age of 10 at North Star Baptist Church. She has been a lifetime member of North Star, while also serving as a Sunday School and Vacation Bible School Teacher at First Baptist Church on Amulet Street for decades. She served as Clerk at North Star for over 40 years, started the first youth choir and was the unofficial church historian and revered among members, young and old. She was one of the Mothers of the Church. In honor of her lifelong dedication to children and youth in Natchitoches Parish and service to the church, the North Star Baptist Church established the Pearl Payne Scholarship Fund in 1994. Through the scholarship, many students in Natchitoches Parish have received funds to assist with their educational pursuits. She started her education in the rural schools of Natchitoches Parish near the Village of Powhatan. She then went on to study at Peabody High School for one year before returning to Natchitoches Parish Training School, which granted her high school diploma in 1935, upon completing the 11th grade. She spent her 12th-grade year at Natchitoches Parish Training School in the teacher program provided by Grambling College. She earned her bachelor’s degree attending class during the summer and specially designed Saturday classes at Grambling College, until she earned her degree in 1948. In 1956, she earned a master’s degree at Louisiana State University and is one of the early African-American females to do so. Pearl Payne also earned over 30 academic credits above her Master’s at Northwestern State University. Her teaching career began at 17 years of age, after completing one year at Grambling College. After 37 years of teaching, she retired at 54 years old as a mathematics teacher at Northwestern State University Laboratory School. She loved and was loved by all her students and was proud to say that she never sent a student to the principal’s office. After retiring from her teaching career, she embarked on a second career in housing management for more than 20 years. 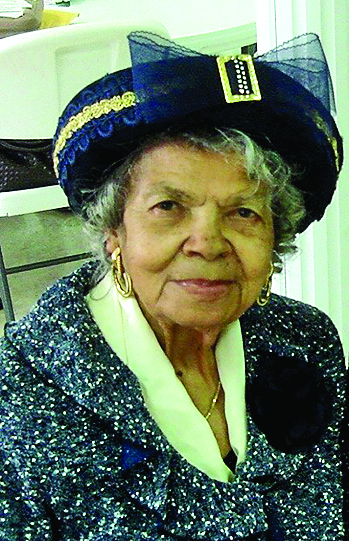 In 2008, Pearl Payne was among the first group of distinguished retired citizens chosen by the City of Natchitoches as a Natchitoches “Treasure” in recognition of her lasting contribution to the community through generosity, service and volunteerism. She was an early force in the Natchitoches Parish Voters and Civic League as a tireless advocate in voter registration efforts. She also served for decades as Commissioner in Charge of the Parks Elementary School voting station. She was a charter member of The Ladies Auxiliary, serving in many leadership positions over the years and helping to raise funds for veterans. She was one of the three founding members of the Women of Faith in 1993. They started as a “Birthday Club” and evolved into a club that provides services for the senior citizens of the Natchitoches community and gives assistance when needed. The Women of Faith also contributed to various organizations that help others in the community. Although her husband, Lutrill Payne Sr., was the first African-American to attend Louisiana State University Graduate School in 1951, she too was an education pioneer and one of the earliest African-American graduates of Louisiana State University. In 2012, Pearl Payne donated a scrapbook to LSU that she kept which documented her husband’s experiences with gaining acceptance and attending LSU. A gifting ceremony was later held at First Baptist Church on Amulet Street. She remained an active supporter of LSU as well as her beloved alma maters, Grambling State University and Northwestern State University, where she attended school and later taught at their Laboratory School. A celebration of her life will be Saturday, Nov. 10 at noon at North Star Baptist Church in Powhatan. Visitation will be from 10 a.m. until noon at North Star Baptist Church before the homegoing services.